tutors, friends and homework—their brains are constantly on overdrive. No wonder many teens complain of waking up tired in the AM. They aren’t getting the proper rest they need. Think about it. People teach us how to drive, how to cook, how to study…so why don’t people teach us how to sleep? The solution is a sleep ritual. Here are a few tips to help you sleep. Limit your screen time. Not just at night, but during the day. Opt for going outside, reading, or relaxing without a smart phone or tablet near by. It helps your brain wind down. An hour before bed, begin what I like to call the “sleep ritual”. Put away all school books, notebooks, homework, etc., and pack your backpack for the next day. Then, put the bag out of sight, ready for the morning. Shut all computers, smart phones, and video games off. The key here is no bright lights distracting you. Take a warm shower in low light or no light. Slow down your mind in the shower by breathing in through your nose and out through your mouth. Focus on your breathe. The warm water helps produce oxytocin, which help us relax and preps us for sleep. After the shower, keep your eyes cast downward. This limits the visual distractions that cue your brain to be active again. After leaving the shower, so straight to your room. Do not interact with family, or get distracted by sounds. Once you enter your room, shut off the low light (and music if it’s not on a timer) and go to bed. Chances are you will fall a sleep faster and sleep more soundly. 1) Watching tv in bed is the worse! It doesn’t trigger sleep and inevitably you will keep waking up when the actions on the screen shift in volume. This disrupts your entire sleep cycle. 2) We sleep best in cool environments. So, if you have a habit of keeping socks on before bed or loading on the covers, think about changing that habit. Chances are you kick off the socks in the night and wake up from being over heated. Open a window as well. 3) Drink a glass of water before bed. It hydrates the brain and helps with it’s “self-cleaning” process. You will wake up more rested. 4) If you are a light sleeper, sleep with ear plugs. 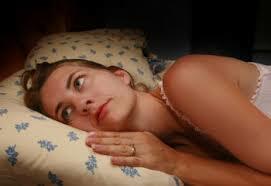 The average person wakes up far more during the night than they realize. Just because you can’t remember waking up, doesn’t mean that you didn’t. Kids that are over parented can have poor Coping Skills. The best way to teach your teen good coping skills is by literally backing off and giving them some room. Let your children think through solutions when they are dealing with a challenge or problem. I see coping skills as falling into the “street smarts” category. They aren’t something that one will learn at school. Coping skills are something that one needs to practice and exercise often in order to acquire and master. Parents can practice (and guide) good coping skills with teens to see how they handle certain situations. Some ideas your teen has will be effective and other will not. But that’s ok… this is how they learn. They need to problem solve, become more resourceful and at the very core…. learn self-reliance. Otherwise, they will look to you every time they deal with a challenge. What will they do when you aren’t around? How will they handle peer pressure, an emergency or a difficult conflict? I was working with a teen client the other week, who became unraveled over a particular conflict she was dealing with that day. Now, her reaction to the situation seemed a bit over the top, but that’s ok…..she’s a teen and her feelings are valid. I was sympathetic and there to listen. However, I found myself falling into the trap of “problem solving” for this teen because she seemed so distraught. I thought I needed to “fix it” for her. As expected, she kept telling me why every solution I had wouldn’t work and so I kept coming up with more ideas, only to have each new one rejected by her again and again. Finally I stopped, looked at her and said: “You are very upset about this and I understand. I’m happy to help, but it’s up to you to figure out what that best solution should be. I’m here as a resource and a sounding board.” She actually stopped playing the “victim” and started to think through some solutions herself when I gave her the “green light” to take the lead. Remember, teens need encouragement and space to think through the pros and cons associated with different outcomes. It’s not up to you (as a parent) to provide them with all the solutions. We need more quick thinkers; people who can resolve their own issues without chaos and drama. Parents who allow their children to take the lead on their own issues (within reason) tend to have less anxious children And the opposite is true as well. Kids that are over parented tend to have poor coping skills.